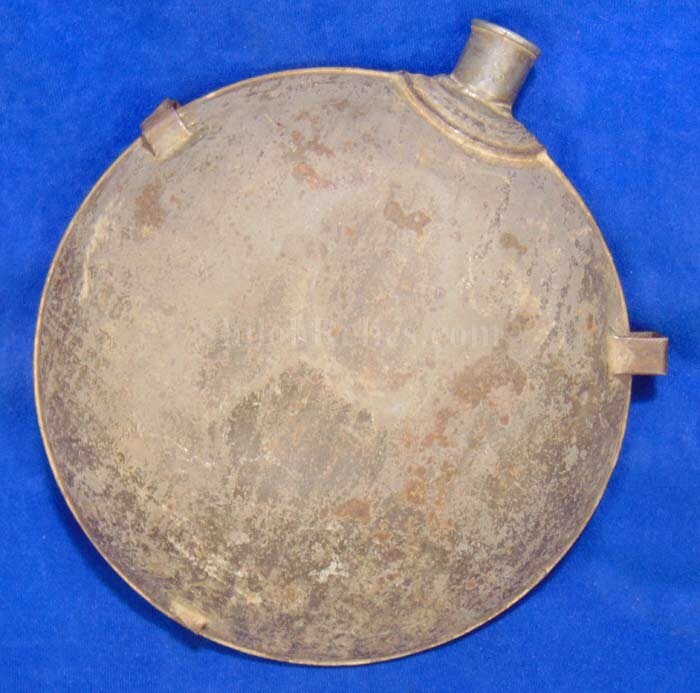 This is a nice original Civil War soldier’s canteen that is in non-excavated condition. You can just picture the soldier using this one in battle or in a Civil War campsite. This is the style referred to by collectors as the "smoothside” pattern because it is made without the reinforcement rings that were designed on the side of the canteen body. It has two of the three original strap loops present on the sides of the canteen. 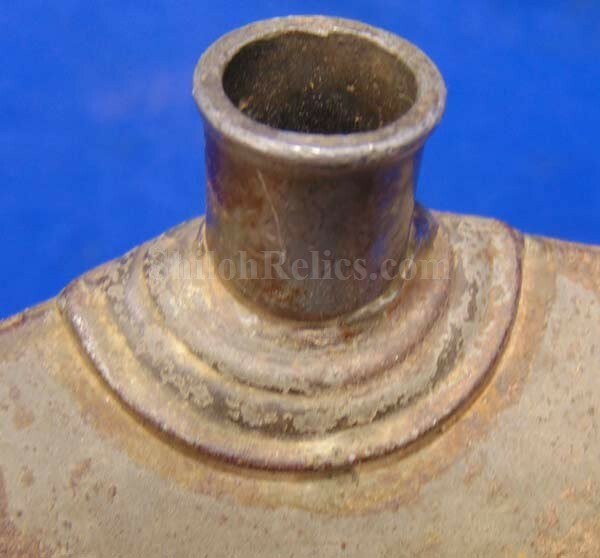 At the top of the canteen it has the original pewter spout intact. 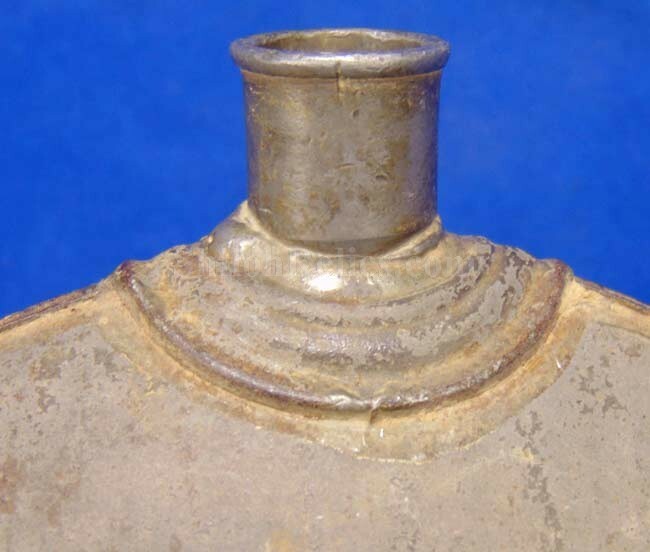 This one has the distinctive color at the base of the pewter spout. This is the pattern that is illustrated at the top of page 152 of the Canteen Book, entitled, US Army & Militia Canteens 1775-1910 by Mike O'Donnell. 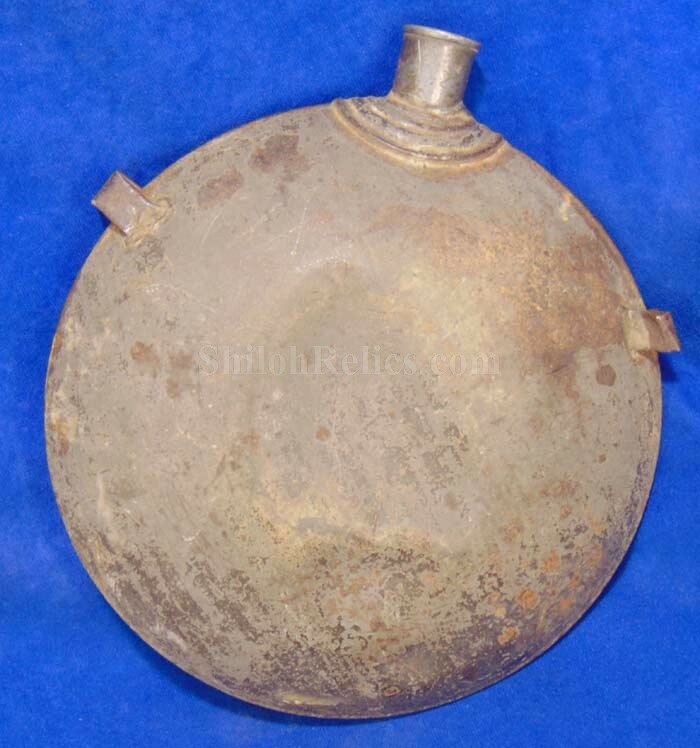 He states that this particular style canteen is believed to have been made in New York as part of a small contract in 1861 or early 1862. As you can see this one still displays well. It is a neat non-excavated artifact, especially for the price. 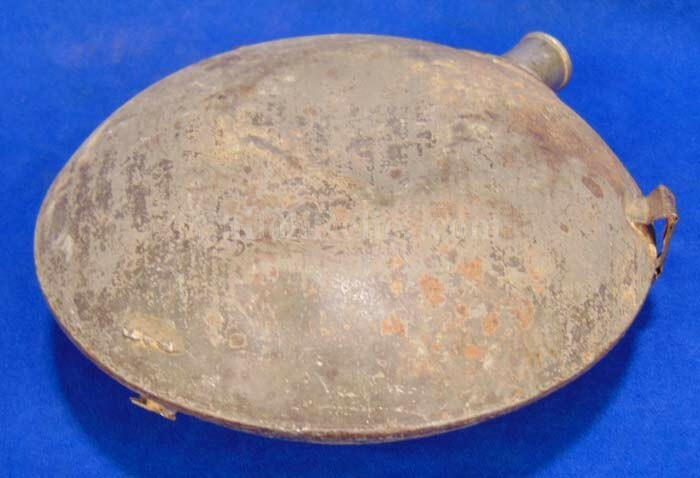 This is a nice used but not abused canteen.